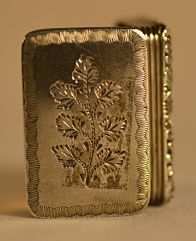 of rectangular form and with foliage chasing to the lid, floral border and reeded on all sides. 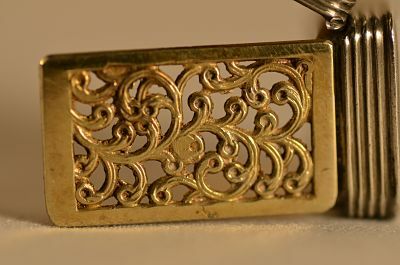 The base displays a stem with seven leaves and as to be expected, there is a gilded interior and a gilt floral grill. 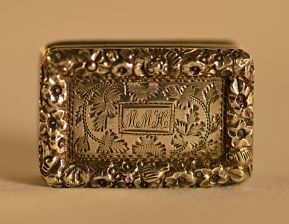 The cartouche on the lid bears a monogram. The town mark, maker and date letter are displayed on the inner base. The duty mark, maker and lion passant are on the inner lid. A superb item for any collector.